"The potential of ALV003 for celiac disease is significant given that ongoing exposure to low levels of gluten can cause patients to experience persistent symptoms & chronic intestinal inflammation..." –Dr. Marja-Leena Lahdeaho. The gluten-specific enzyme ALV003 reduces a patient's exposure to gluten and its potential harm, according to a new phase 2 study. This study is the first to find that a non-dietary intervention can potentially benefit celiac disease patients. Study participants were put on an everyday gluten-free diet, challenged with up to 2 grams of gluten daily (equivalent to approximately one half of a standard slice of bread in the U.S.). Researchers found that daily oral administration of ALV003, at the time of gluten ingestion, decreased gluten-induced injury to the small intestine. The treatment appeared to be well tolerated. Gastrointestinal symptoms, such as nausea and abdominal pain, were greater in the placebo group compared with those receiving active treatment. "Total avoidance of gluten is, at best, challenging," said lead study author, Marja-Leena Lahdeaho, University of Tampere, Tampere University Hospital, Finland. "The potential of ALV003 for celiac disease is significant given that ongoing exposure to low levels of gluten can cause patients to experience persistent symptoms and chronic intestinal inflammation, despite following a strict gluten-free diet." Gluten is widely used in the food and other industries. Cross contamination during food processing is difficult to avoid and the labeling of food products can be inaccurate, misleading, or incorrect. The gluten-free diet is socially troublesome, expensive, and compliance is problematic. 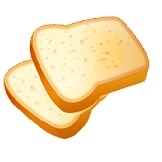 Additionally, traces of gluten can be found in common items such as envelope glue and makeup. These challenges lead to consumption of small amounts of gluten in even the most cautious patients. Thus, there is a need for the development of a pharmacologic therapy that will work with or replace a gluten-free diet. As the first evidence of a therapeutic intervention for celiac disease meeting primary endpoints, this randomized, double-blind, placebo-controlled clinical trial is a welcomed addition to celiac research. Future studies are warranted before ALV003 can come to market; a 500-person multi-center trial is currently ongoing.